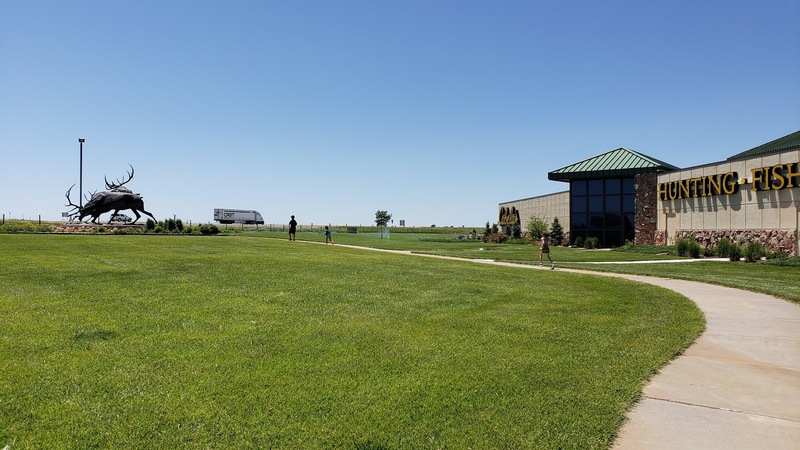 Today I want to share with you some of my road trip with kids tips and tricks I used on our lastest two-day road trip. 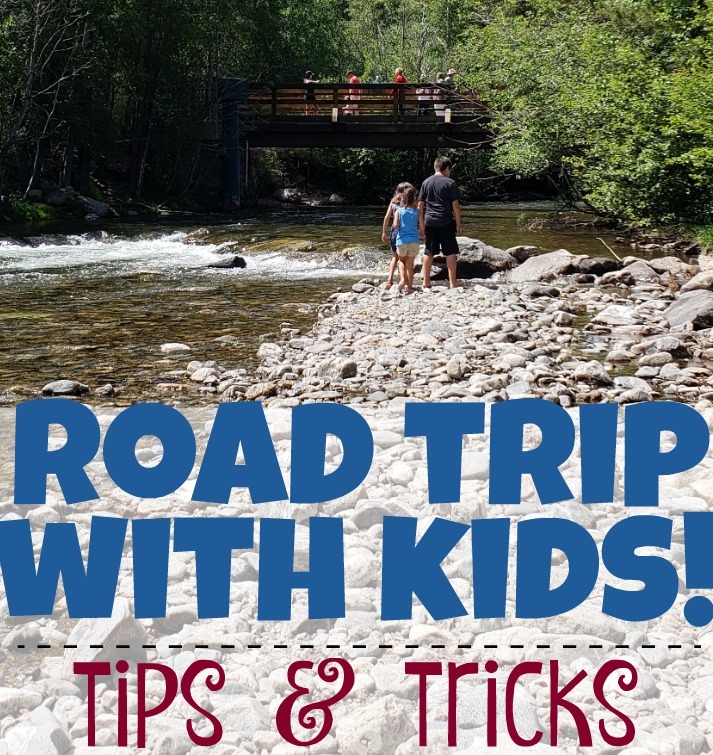 These tips are in no particular order and I’d love for you to leave a comment with some of your best road tripping with kids advice. When is the best time to drive? 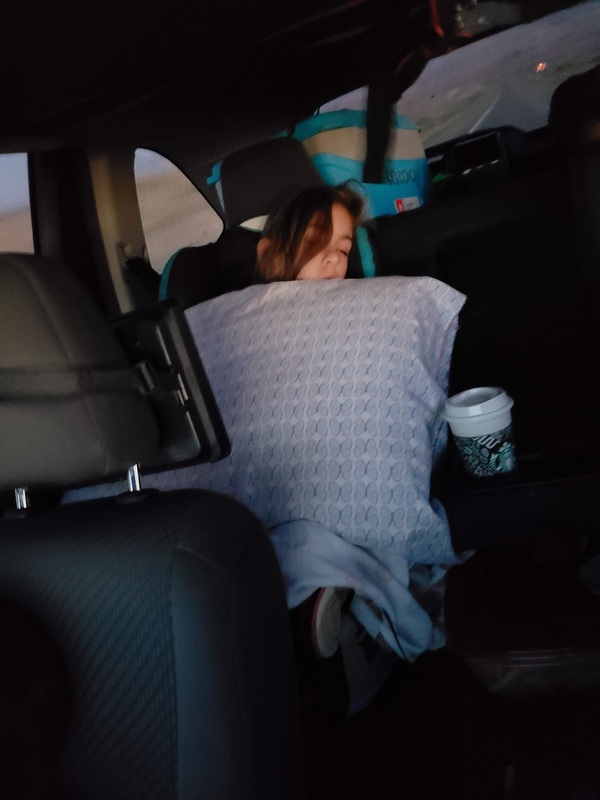 If you’re a morning person get on the road early, like 4 a.m. early and put your kids back to sleep in the car. This cuts down at least 2-3 hours of driving while the kids would’ve been awake. You also get to your destination earlier in the day! If you’re a night owl, you can leave later in the morning and drive into the night. Bring a pillow from home, a seatbelt pillow or one of these neck pillows and a light blanket. During a summer road trip us a lighter weight blanket and during the colder months, use a slightly heavier weight blanket. Blankets work well from blocking the sun coming thru the windows too. 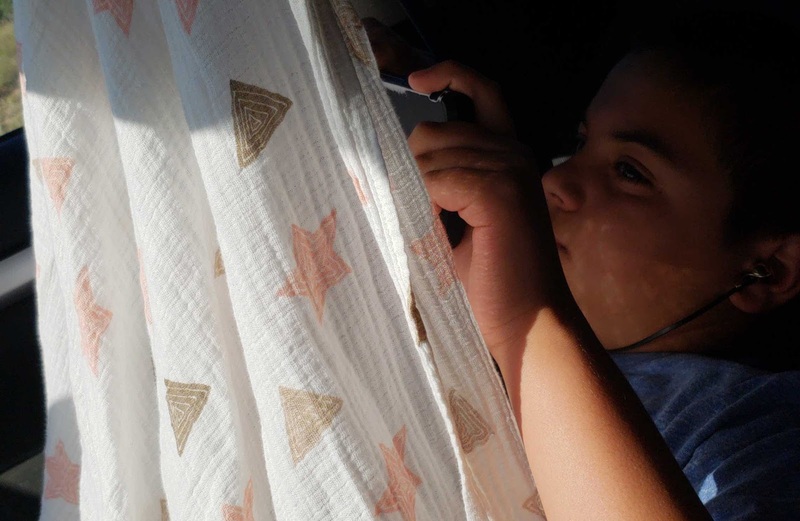 Keeping the kids entertained while driving is major! My #1 recommendation is a DVD player, i Pad or tablet loaded with movies & games. 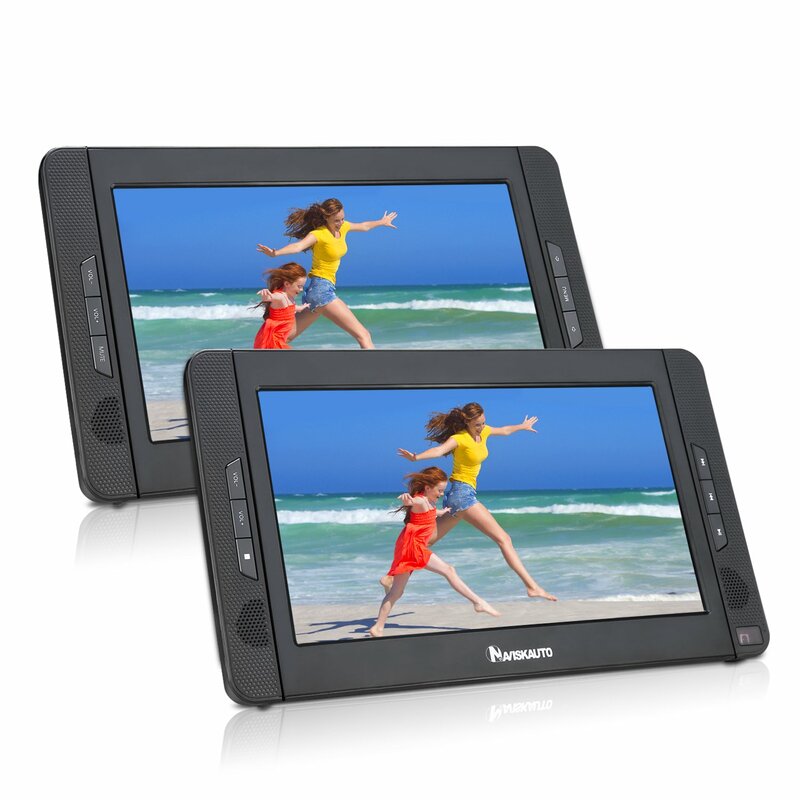 This is the exact dual screen DVD player we had in the car for our road trip and it worked great! 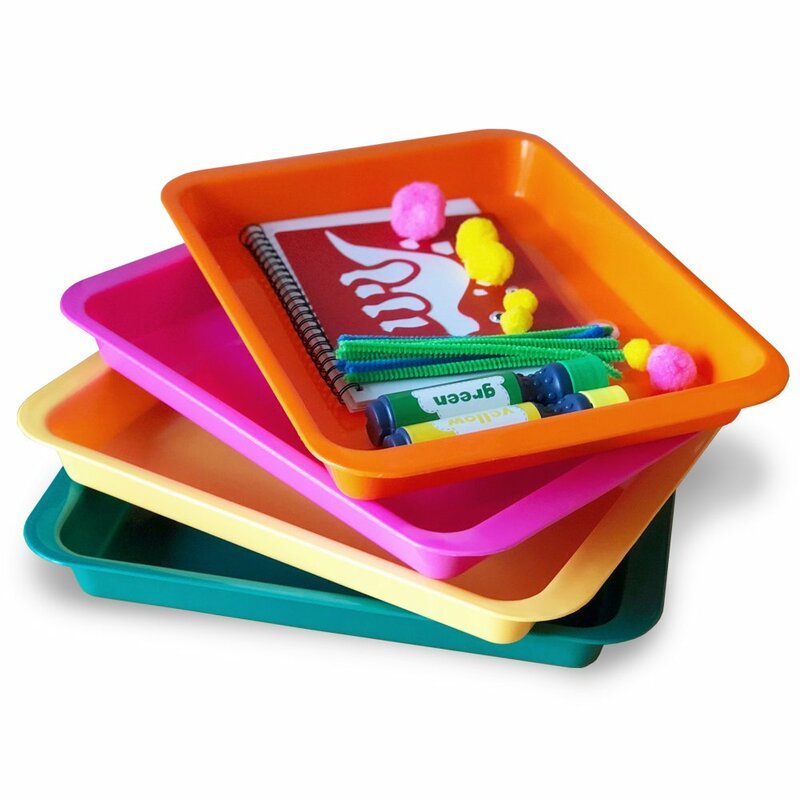 Trays to have on their lap. 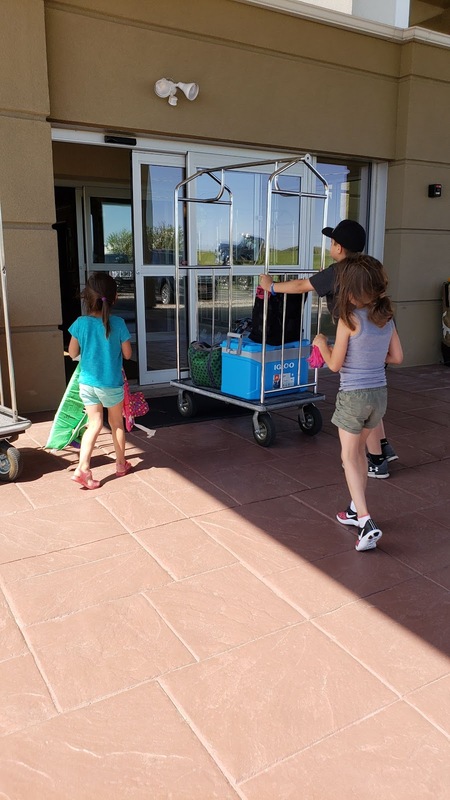 I also had them bring some of their favorite toys in their backpacks. Bryce had a tray similar to this one that worked great for when he wanted to build with his Legos. They also work great for keeping everything corralled together and if they are eating in the car, (kid’s meal etc.) they can place the meal on the tray. 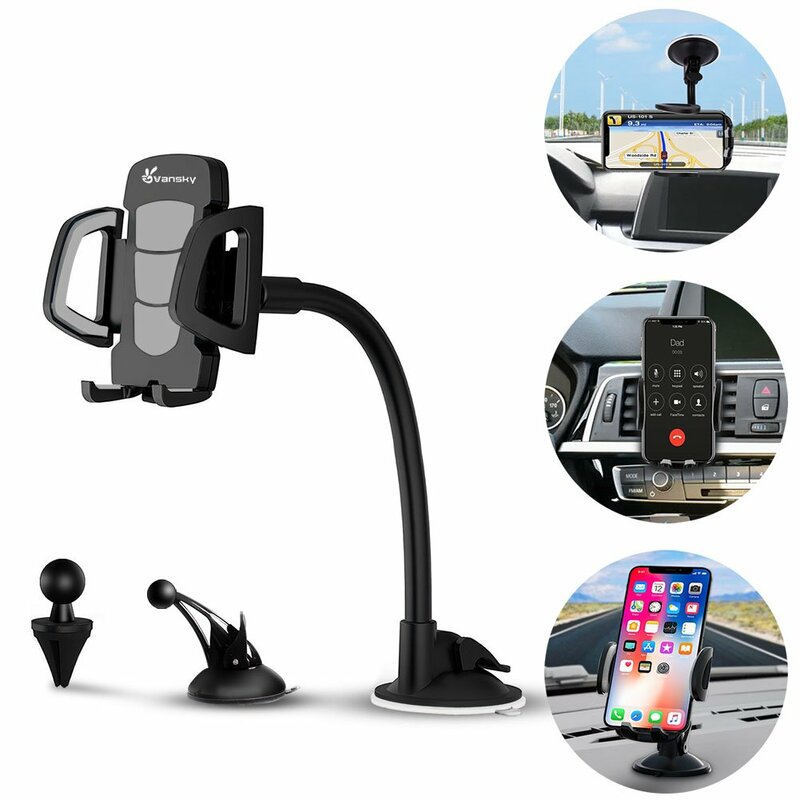 This is the cell phone holder/mount I used and it worked great. I’ve bought one for both my Mom & Sister! I saw this trick on Pinterest where you count down the hours visually and this works great if you have younger kids that don’t grasp time yet. 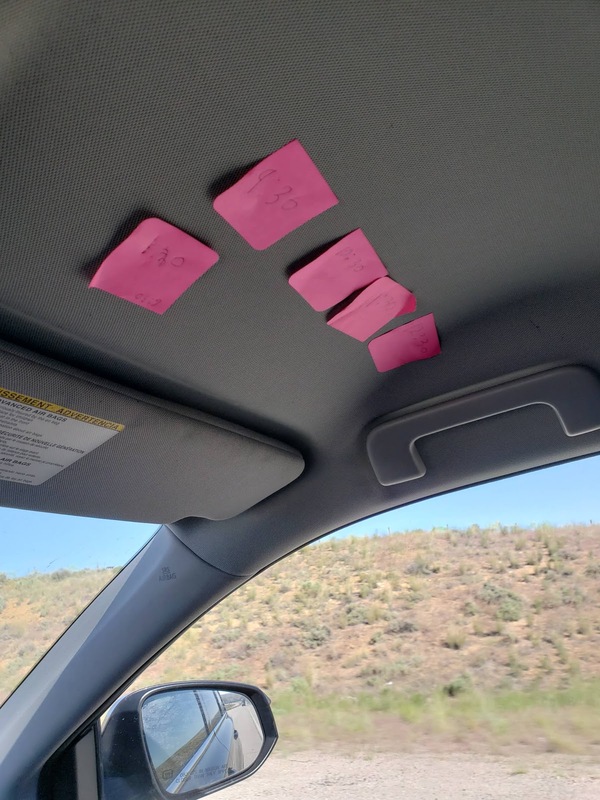 What you do is get post-it sticky notes, preferably ones that have full stick on the back, and you write down the time until you plan on stopping. For example: If I left at 5 a.m., then when I hit the 6 a.m. hour we take that sticky down and when it’s the 7 a.m. hour, then we take that sticky down and so on and so forth. 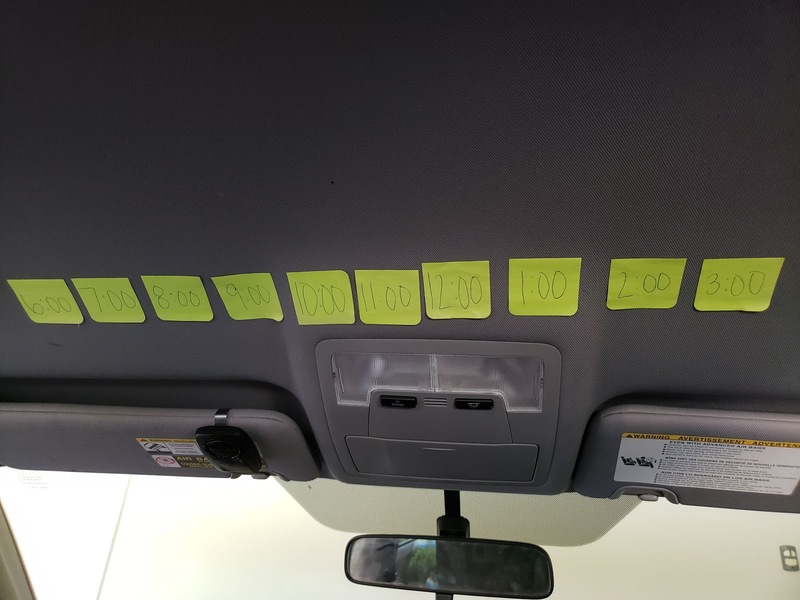 It visually helped the girls see how much longer we still had to drive. When we would get to the last 1 or 2 hours, they knew we were almost done driving for the day. This was a great trick I learned and I will be using this in the future! 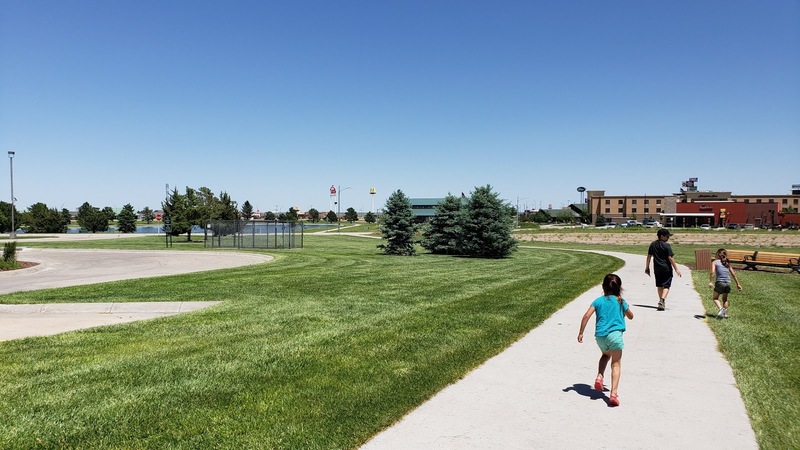 Usually, I would stop about midday, for 30 minutes or so and let the kids stretch their legs and get some energy out. This was at a Cabela’s in Nebraska, we walked around outside and then walked a little inside. 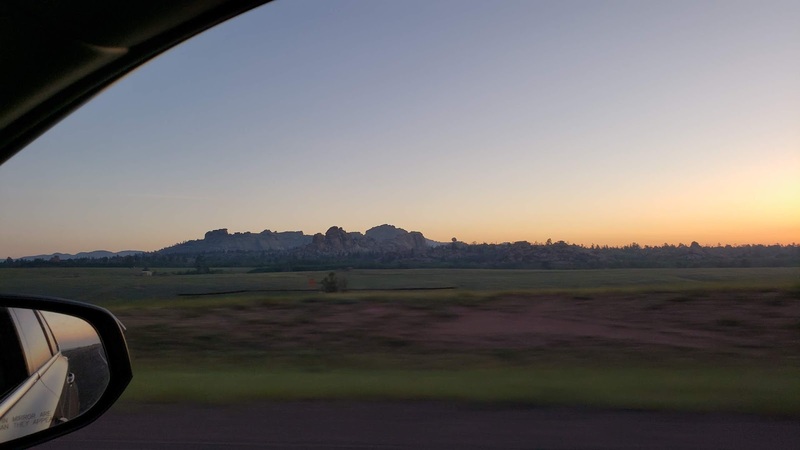 We also stopped driving every day at around 4 o’clock, since we would start so early and would check into a hotel. I also always looked for a hotel with a heated pool. But before I would check in, I would fill the car up with gas so the next early morning I was all ready to go! After we get settled in our room, I always try to take the kids swimming in the hotel’s pool. 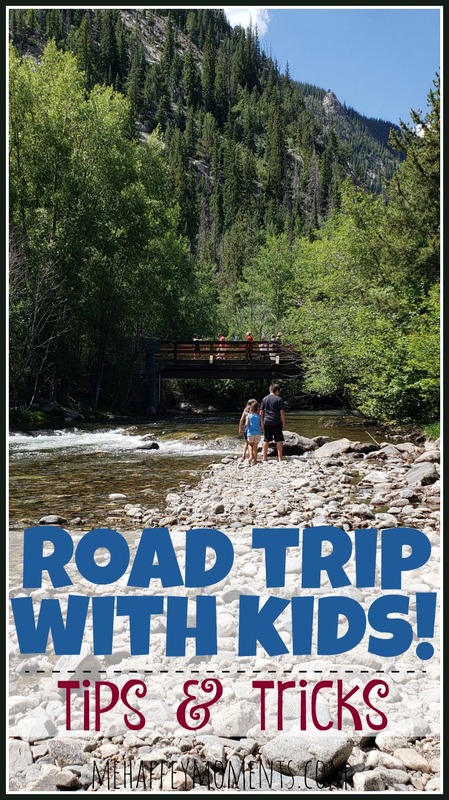 Miscellaneous tips for your road trip with kids. • Always have a cooler with snacks, mini water bottles, and juice boxes. • When you stop for gas, gather all the trash from in the car and throw it away! • You should have a roll of paper towels, a roll of toilet paper, a package of baby wipes, a container of Clorox wipes, first aid kit and a grocery bag or two. This is the essentials so you’re prepared for any type of mess. • A medicine bag filled with children’s ibuprofen, Benadryl, nasal saline spray, thermometer, inhalers (if needed), adult ibuprofen and itch cream. • This is important, get your car serviced before a road trip and make sure your tires are good!!! Great suggestions – love the pics, and that you made these memories with them. Awesome! I know how much this took Jade – you did an amazing job.